In what now seems like the distant past, customers would flip through the Yellow Pages when looking to find a local business. Today, Google, Bing, Yelp and a host of other sites and search engines have become the primary way customers go about searching for what they need. As your small business’ head of marketing, you need to make finding your business’ online presence easy for customers and become an online marketing master before the competition does. This mean you need to become very aware of what it takes to rank higher than the competition in searches conducted with the intent of finding a local business. This includes showing up on both maps and mobile browsers. To help your business develop a stronger local online search presence, here are a few tips to consider trying. Make your website scream local business. Search engines like Google and Bing analyze the content on your website when determining where you should rank in organic search results. To rank highly for any local search result, the copy of your business’ website needs to reflect the information potential clients will use in their search query. So, for example, if you run a flower shop in Portland, you can bet that variations of the phrase “Portland flower shop” need to be featured prominently throughout the copy found on your website. If your shop is located in a particular part of town or neighborhood, the content on your site also needs to reflect this type of information, as well. The more you stress the city and neighborhood your business is located in, the better you’ll be at attracting customers searching online for a local business. Enhance and claim local search profiles. Local search directories like Google My Business and online review sites such as Yelp want local businesses to claim and enhance their online profiles. Not only do these types of profiles offer a number of vital features that you need to take advantage of as a small business owner, they also make it easier for customers to find your business. Profiles used by Google My Business allow your business to appear on Google Maps and in local listing feeds. Both offer incredibly easy ways for potential customers to find your business, and Google takes into consideration mobile users geolocation when determining which businesses to display for search results. Participate in online reviews and ratings. 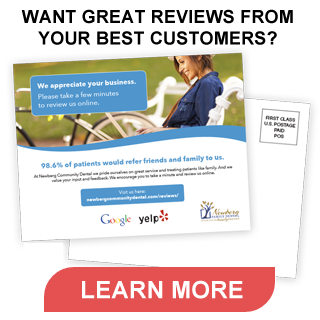 A number of local business directories exist that allow users to rate and review businesses. If you’re not paying attention to what’s being said about your business, you could quickly develop a poor online reputation that takes away a lot of potential new customers. A recent study conducted by the online research firm BrightLocal found that 88 percent of consumers trust online reviews as much as first-hand recommendations. This makes monitoring the reviews your business receives on sites like Yelp vitally important to protecting your online reputation. Because review sites carry a lot of prominence in the eyes of Google, businesses that receive a lot of four and five star rankings on sites like Yelp appear higher in organic search rankings, as well. Update your citations and listings. Citations are mentions of your business and its address that appear on other websites. These have value when it comes to ranking algorithms used by search engines because they help to assure your business is actually local and removes any confusion about where you’re located. To improve the impact these types of listings have, the address of your business needs to appear identically everywhere it’s listed. This includes even minor details like the difference between listing your address as “123 Moneymaker Ln” or “123 Moneymaker Lane.” Search engines and customers both like consistency, so make sure to double check that your business’ address is consistent on sites like Yelp, Google My Business, the Yellow Page online and any other available directory. Create your own group topic on social networks. Create a local niche group, and build a community of users around a local theme on social media sites like Biznik, Meetup, LinkedIn, Facebook or Flickr. If you can find an area of interest that appeals to others, you might be able to create a useful and vibrant tool that greatly enhances your business’ local presence.